Since the Wee Child was able to walk, he has been responsible for picking up his things. There are many areas he can’t help in yet, and we adapt as needed, but these Free Printable Kids Chore Charts make it even easier to keep him on track. Not only can we personalize this chart with what he needs to do this week, he loves being able to add stickers or stars to the spots for each day he completes the tasks we assign to him. 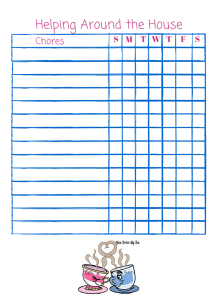 Not only do we have these printable chore charts for you but we’ve pulled together a simple list of what we feel are age appropriate chores for kids. These can be adapted for your individual family needs, but they are a fairly standard set of chores that you can help your kids complete. 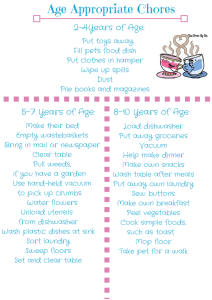 Print Kids Chore Chart Here. Print Age Appropriate Chores Chart Here. Why is it important for kids to do chores? Teaches them respect for possessions. When your children are required to pick up after themselves and care for their belongings, they will learn to respect those things. Along with the chore of keeping their rooms clean and picking up, you can teach them about how to care for things properly. Teach them to put things away in the right location, and safely. When something ends up broken because they didn’t care for it properly, don’t replace it. Let them focus on how they were responsible and their lack of care is the reason it is no more. Teaches them needed basic skills for their adult life. Not everyone will be wealthy enough to have help around their home with cleaning, laundry an meals. Teaching your kids these basic life skills is important. Even though you may be tempted to do things for them, it’s important that they know how to care or things themselves. Starting out young with teaching basic life skills will be easier than waiting until they are teenagers and already use to you doing everything for them. 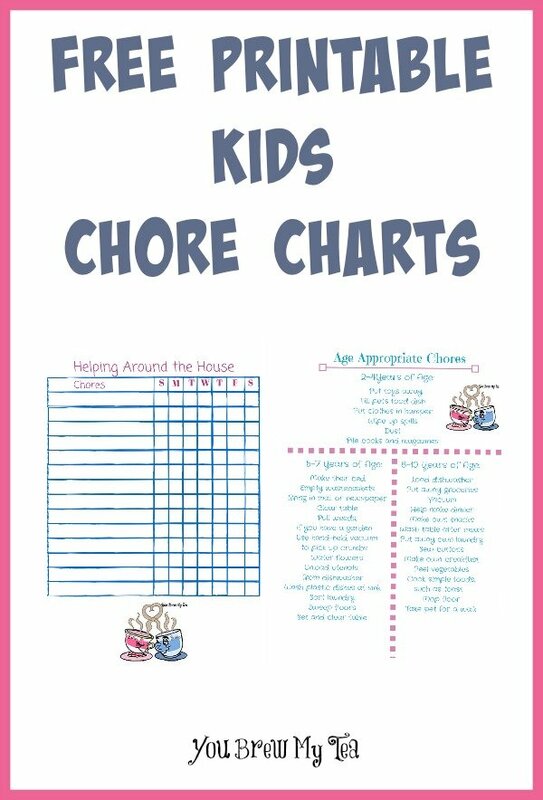 We hope you can use these free printable kids chore charts to get your kids active in the daily happenings in your home. Add in things that are unique to you family and home for a great fun list that kids will look forward to completing. Make sure to offer some great rewards for them when they keep track of their chores every day for a month. 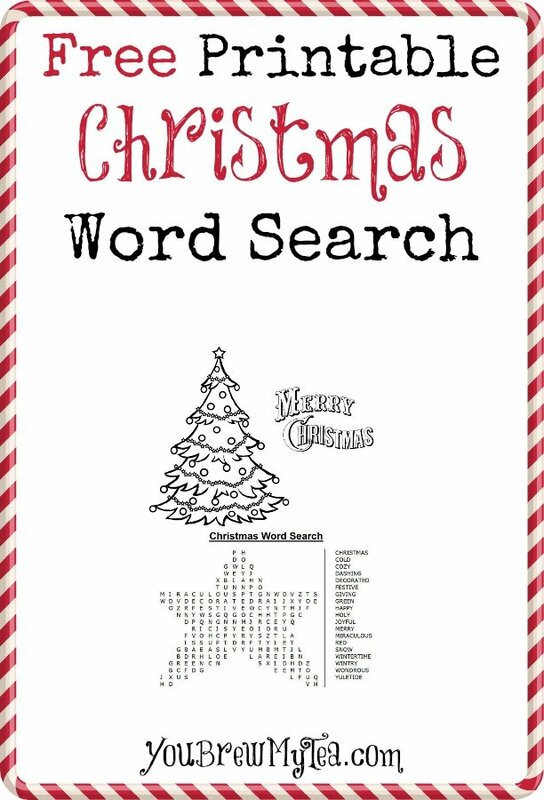 I love doing word searches, and I knew that once the Wee Child started reading, they would be a great way for him to learn more, easier and faster. Sure enough, after the first few word searches were put in front of him, he was constantly asking for more. Having them ready to work with our vocabulary lists during our homeschool classes was really important. I knew it was just another great and easy way to encourage him to continue spelling those same words over and over again. 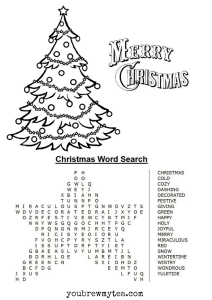 This Free Printable Christmas Word Search is a great tool to use in your upcoming holiday homeschool lessons. 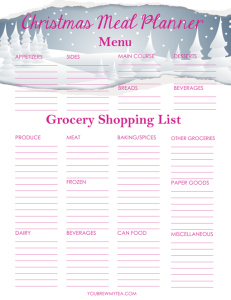 Simply print and create a lesson plan around the list of words, or use as your holiday spelling and vocabulary guide. This list is great for younger readers grades 1st-3rd grade. There are some simple words like Red, Snow and Merry, with a few more that are a bit more complex to help them to expand their vocabulary. With the holidays, we find ourselves doing fewer structured days in school and more days of occasional worksheets, story time and learning in play. 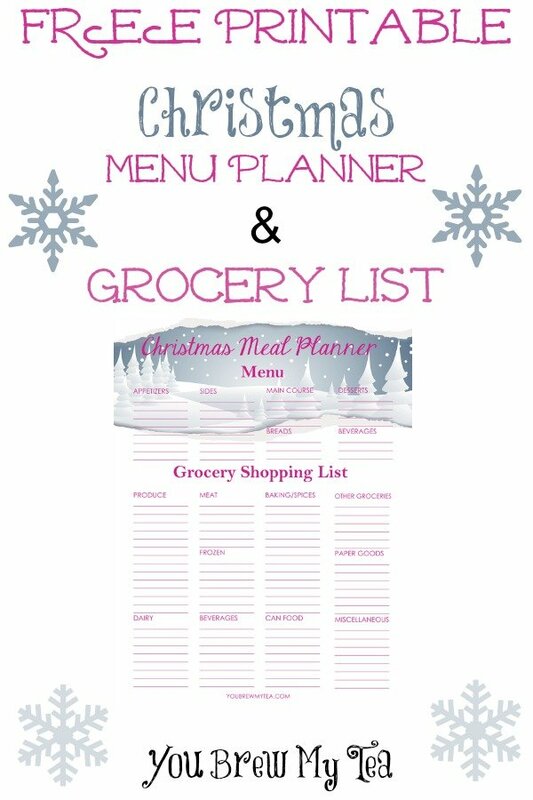 With family activities, fun homeschool group activities and of course my work schedule getting busier it is great to have fun printables like this one on hand. We love using Max Lucado’s Christmas Child and the classic Dr. Seuss How The Grinch Stole Christmas as great books in our classroom this time of year. They are fun, well written, easy for early readers to sound out words and read, as well as great for learning about the real spirit of the holiday season. Check out our other popular homeschool lesson plans and free prinables! Since both of my boys were little, anything with an engine has been fascinating to them. This happens with most little boys, and a lot of little girls too. Cars, trucks, planes, trains and more are fun and exciting. In fact, my oldest son when first learning to talk would repeat car over and over again. He loved cars, tractors, and anything of the like and still does! 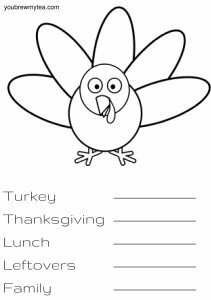 So, as I worked over the last few months on our homeschool plans for this Fall, I knew I wanted to include some fun worksheets for the Wee Child to do. 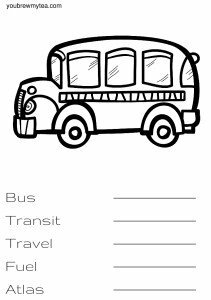 These Free Transportation Spelling Worksheets For Early Readers were perfect! Not only does he get to enjoy a bit of coloring (he still loves that), but it will reinforce some of our vocabulary words regarding transportation. If you have a little boy who is learning to read, write or just loves cars and trucks then these are definitely great for you! You can use these sheets individually, or together as part of a unit study. We try to focus on specific themes in our classwork. 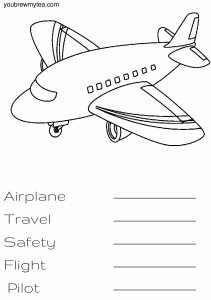 Right now going over transportation is great not only for a lesson on the history and development of cars, trains, planes and buses, but perfect for some simple vocabulary words boys (and girls) will recognize in their reading assignments. 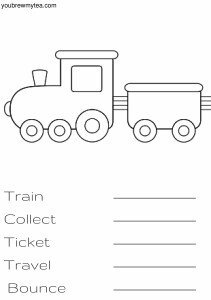 I like to incorporate some books about the subject (transportation in this case), a few worksheets like this, as well as a video or documentary about the design of the early transportation modes. Click on the images below to open the PDF file for printing! For the younger group that might not be reading yet, we love things like these Melissa & Doug puzzles! Not only are they great for helping your little ones feel a part of the classroom, they are helping with fine motor skills as well! Don’t miss all of our other great Homeschool lessons, printables and tips! I am a part of many homeschool groups and boards through social media. I enjoy reading others tips, ideas and questions, because it helps me to know I’m not alone in my struggles, but also makes me aware of things I might be missing in my sons curriculum. One thing we have found since he has really started reading steadily is that he has a desire to learn how to spell more words. While I had not planned a specific Spelling class this year for him, I have decided to introduce more spelling words and tests for him as part of his general curriculum. Instead of giving him a random list of words to work on each week, I am creating lists of words around our unit studies, science projects, history chapters or even math problems of the week. I can include general sight words and terms, along with other more difficult words that are linked to his curriculum and unit studies. 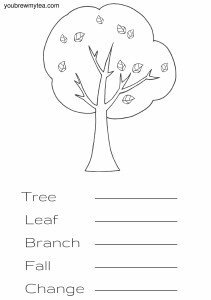 Since we are about to work through some great Fall themed books about leaves changing, Thanksgiving and being thankful, I was excited one of my friends had offered to make me these FREE Fall Spelling Worksheets For Early Readers. Not only are they a fun coloring project for kids, they include some simple words about the season that they can practice and write themselves. This is perfect for review, spelling lists and general vocabulary lessons. While these were made for our 2nd grade student, they could be used for younger students depending on their reading skills at this level. Our son is a rather advanced reader, and has conquered a lot of the other sight words for his grade level, so we think this has a good mix of items he can easily spell or be challenged by. 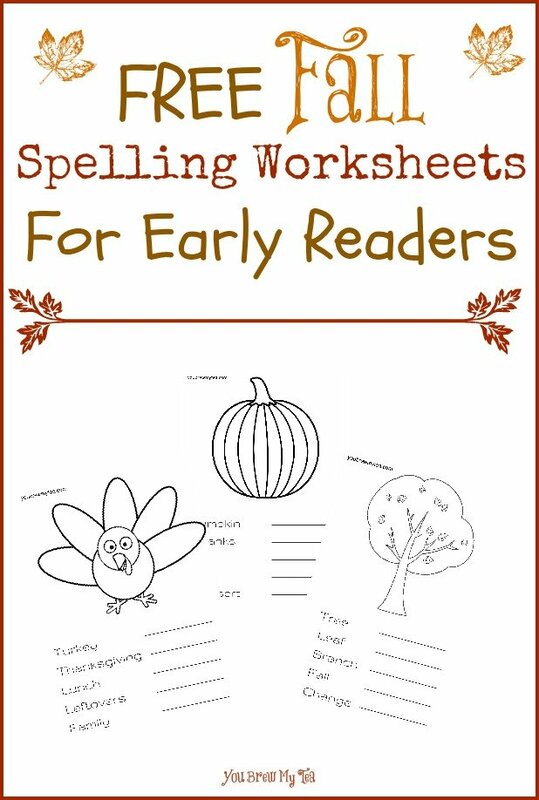 Just click on the images above to load the Fall Spelling Worksheets For Early Readers! 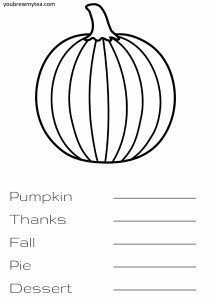 These list will be great for you to print and work them into your Fall curriculum. Not only are they great for a fun art craft project, they are a great way to increase your kids sight word abilities, spelling abilities and writing skills! 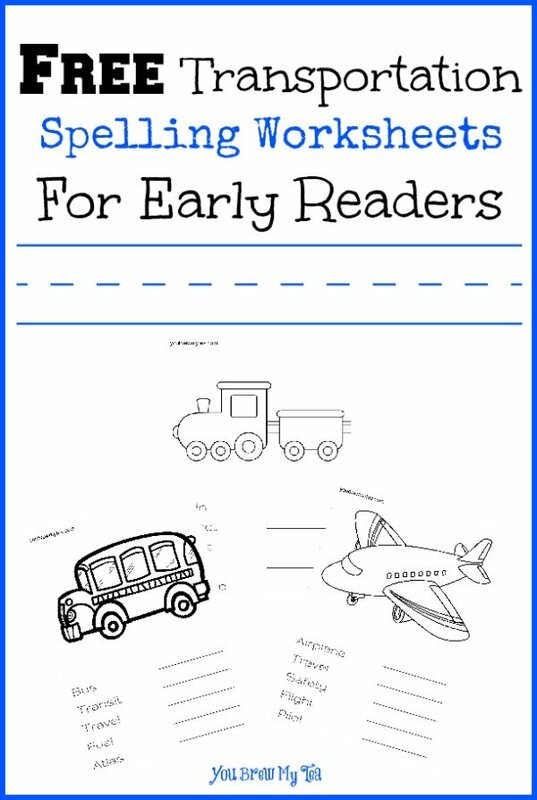 Do you want more free printable worksheets, spelling lists and homeschool materials? If so, please leave a comment letting us know so we can include one each week for your classroom convenience! Looking for more Free or Cheap Homeschool Resources? Check out some of our other great tips!